The FSSAI has taken a highly collaborative approach to promoting food safety and nutrition since it is an integral part of everyone’s life. Food safety scenario in India is continuously changing from last one and half years. The food safety body has come up with several initiatives to train street food vendors, partner with restaurants and make sure that wholesome and nutritious food is being served to the public. Since ages, people have always thought FSSAI as another government body which is over burdened by bureaucracy but to much surprise it has given a new face to the food safety ecosystem in the past one year. Since the past few months, the FSSAI has been energetically driving large-scale fortification of staple foods such as wheat flour, rice, milk, oil and salt to combat widespread malnutrition in the country. The industry and government have responded with equal dynamism. About 50% of oil and milk companies in the organized sector will have fortified their products in the coming months. Five major wheat flour manufacturers are fortifying their wheat flour. The whole narrative on food safety regulation has changed. The law provides that people who work in food businesses should be qualified and trained in food safety. Even before this becomes mandatory, FSSAI is building an ecosystem for large-scale training through its FoSTaC –Food Safety Training and Certification programme, which was launched yesterday during a press briefing in New Delhi. FoSTaC is a unique participatory programme designed to enhance public awareness and simultaneously train food safety supervisors, who will then train food handlers along the food chain on food safety issues. It has19 short courses from basic, advanced to specialized courses for street food vendors, restaurants chefs, caterers, food business operators as well as the general public. Around 6-7 of these courses are ready to roll. These courses will be delivered through training partners such as academia, industry, FBOs and government departments. FoSTaC allows for a systematic online registration system that is easily accessible and provides certification for those who have completed the training. FOSTAC will eventually host e-learning courses that will be available to all and raise the food standards of food businesses by several notches. “Being a smart consumer is a cornerstone of ensuring food safety. Consumers have the right to be informed and educated and exercise their rights. In order to empower consumers on all issues pertaining to food safety, the FSSAI launched an online, Food Smart Consumer Portal,” shares Mr. Pawan Agarwal, CEO at Food Safety and Standards Authority of India adding that this interactive portal will be dedicated to educating consumers to make smart, informed choices, whether they are buying raw food, processed food or eating out.It has a 10 question quiz that allows the public to test is they are “smart consumers”. This portal also provides consumers a forum to express their views, ask questions and register their complaints. FSSAI is working towards strengthening its consumer grievance redressal system. A Guidance Document for food handlers and regulatory staff was also released. Consumer guidance notes on issues they confront on a daily basis were also made available. Also, at a time when India has several cases where food borne disease is an integral part of the country affecting consumers especially children this kind of initiative is the need of the hour. “If we eat right and safe food, diseases will come down because food safety is very important for India where people are suffering from food borne disease,” adds RK Vats, Add. Secretary, MoHFW. 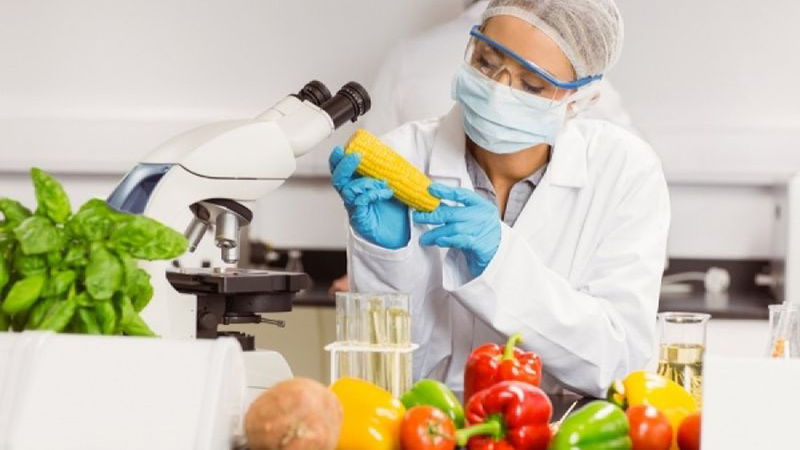 A new era for food safety and nutrition in the country dawned yesterday where the food safety body launched several flagship initiatives to transform the food safety and nutrition landscape in India, a hitherto neglected field. “There is a requirement that the food available in the market should be safe and wholesome,” points Shri Amitabh Kant, CEO of NITI AYOG adding that FSSAI should also allow food business operators to do a self certification and there is lots of need for branding, positioning of the industry. FSSAI also launched its Safe and Nutritious Food (SNF) initiative that takes a citizen centric approach to transformative social and behavioural change. The Safe and Nutritious Food initiative reaches out to people everywhere: in their homes, workplaces, schools and when they eat out. The SNF portal would function as an online resource centre containing information on all these initiatives with access to resource materials developed by FSSAI, interactive guides on understanding food safety and nutrition and a gateway for everyone to participate in these initiatives through partnerships. Social and behavioural change must begin early. Children are powerful change agencies. Therefore, to engage children, FSSAI has created Safe and Nutritious Food Mascots-Master Sehat and Miss Sehat, two superheroes. In the coming months, workshops, theatre and activations of these mascots will be done throughout India. The FSSAI has taken a highly collaborative approach to promoting food safety and nutrition since it is an integral part of everyone’s life, every single day. There is convergence with various existing initiatives, particularly the PM’s Swachch Bharat Abhiyan, which shares many common goals and approaches with the SNF initiative. In the coming months will see these initiatives being rolled out across the country, generating a tsunami of collective effort towards creating a culture of food safety and nutrition across the country.